Does your house need a checkup? The most important thing to understand as a new homeowner is that your house requires care and regular maintenance. 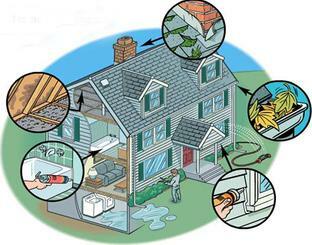 As time goes on, parts of your house will wear out, break down, deteriorate, leak or simply stop working. Even the most vigilant homeowner can, from time to time, miss small problems or forget about performing some routine home repairs and seasonal maintenance. Accurate Home Inspection can help you with maintaining your home. Consider hiring us to come once a year to perform a Home Maintenance Inspection. We’ll evaluate all the major systems of the home including: plumbing, heating, cooling, electrical, roofing, attic and structural. We will help you keep your home in good condition and prevent it from suffering serious, long-term and expensive damage by finding minor problems before they become major issues. 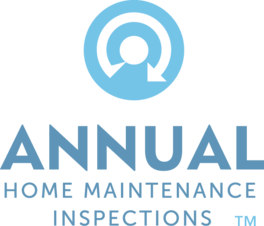 Included with your Home Maintenance Inspection: Infrared Thermography Scan, Gas Leak Check, Home Energy Report, 1 Year subscription to the Home Owners Network, Wood Destroying Organisms Inspection Report and Home Maintenance Book. For more information on ways to keep your home healthy, visit ​The National Center for Healthy Housing and view thier guide Healthy Homes Maintenance Checklist.